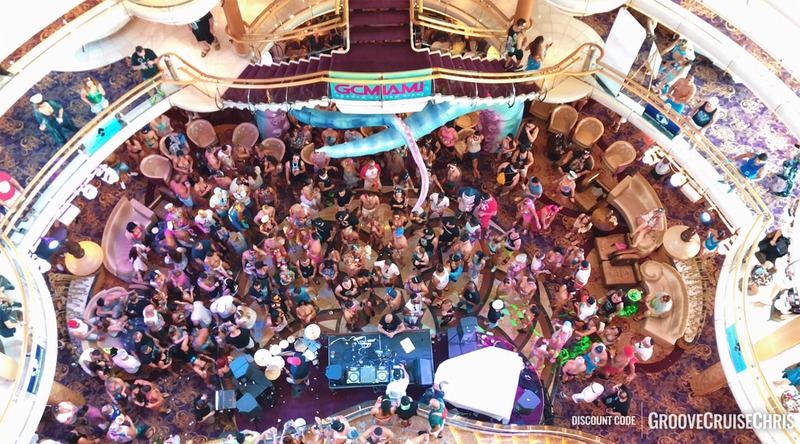 Just a couple of weeks after GCMIAMI 2019 has returned from an epic 15 year anniversary sailing, the organizers have just dropped details on next year’s floating festival out of Florida. Groove Cruise Miami 2020 tickets will be going on sale on 2/6. The event will be taking place aboard the popular and luxurious Celebrity Infinity. 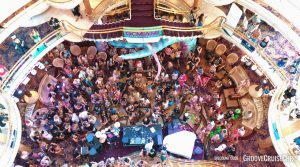 It quickly became a GCFAM favorite offering high-end decor and amenities along with delicious cuisine and many venues hosting the Groove Cruise stages. The 2020 GCMIAMI event will be sailing to a brand new destination – Costa Maya, Mexico! Destination: Miami to Costa Maya, Mexico. This is the date and time that you’ll be able to access the booking engine and secure your spot on the ship. 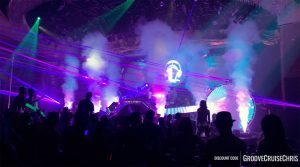 Groove Cruise Miami 2020 ticket prices, payment plans, and discounts (in addition to my discount code) are expected to be announced very soon. 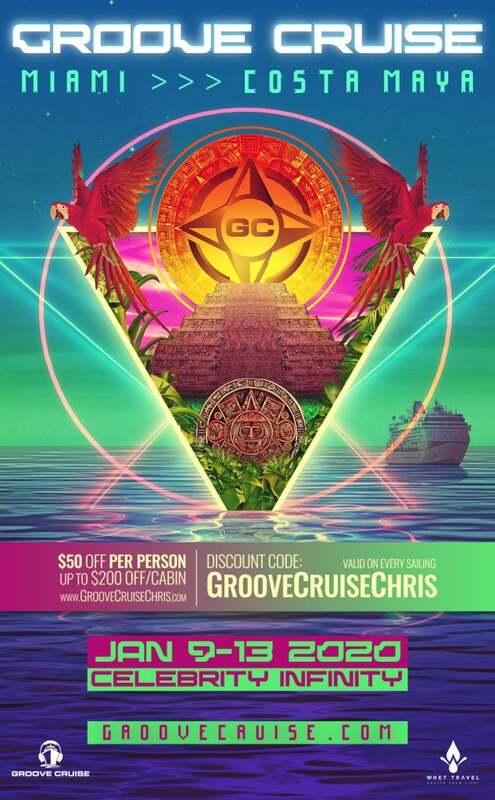 When you go to lock in your Groove Cruise Miami 2020 tickets, remember to use the discount code, GrooveCruiseChris (How do I use this code? ), for an incredibly easy and instant $50 off PER PERSON! You can even use this discount code when using a payment plan, so there’s no reason not to save money. The earlier you secure your cabin, the lower the price. Cabin prices increase as the event approaches, so book early to save the most money. 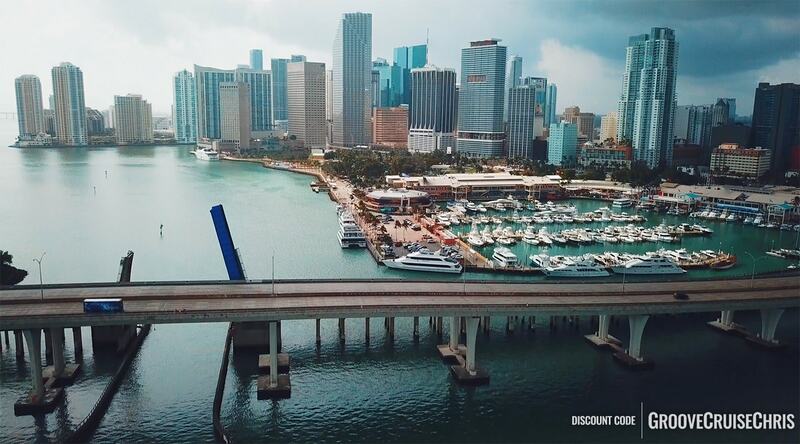 Check out the Groove Cruise Miami main page for full event details. It will get updated as more information becomes available. Groove Cruise Miami 2020 Prices – Starting at $699/person!